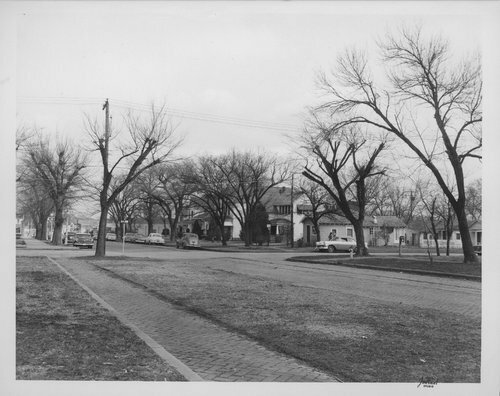 A photograph showing the intersection of Eleventh and Elm Streets in Coffeyville, Kansas. The photograph was removed from Montgomery County District Court, Court Reporter's files, Criminal 13721I. It was used in a plaintiff's exhibit in State vs. McKelly.